Living… with his family near the Kurosaki Clinic, which his father runs. Ichigo also attends the local high school, where he is a strong student, despite often getting into fights due to his hot temper. Profession… high school student andsubstitute Shinigami. A Shinigami is a being responsible for taking care of the souls of the dead as well as dispatching ghosts and malevolent spirits. Because Ichigo can see these spirits, he got tangled up in a fight between a Shinigami and an evil ghost. The Shinigami, Rukia, was forced to save him, but in order for them both to survive, she gave him her powers. Now, under her guidance, he’s working to become a full Shinigami, mastering combat and magical powers. Interests… karate and school. Ichigo’s been training in martial arts since he was little, and he studies diligently. He also spends a fair amount of time trying to help unhappy spirits, as well as fellow living misfits. Relationship Status… single. Ichigo is focused on his friends and family. His friend Orihime wants to be more than friends with him, but he doesn’t seem to care about romantic love. Instead he cares very deeply for the people around him, and feels responsible for their safety. Challenge… defeating evil spirits and dealing with the bureaucracy of the Shinigami authorities. They’re not all happy that Rukia gave her powers to a mere human. Ichigo has his hands full learning how to fight while not revealing what he’s doing to his family or his friends. Personality… hot-headed and competitive, but loyal. Ichigo has admitted he can’t help but fight when provoked. But he does fight with honor, and is determined to succeed even with the odds stacked against him. He pretends to not care about what other people think, but his gruff exterior never truly hides the depth of his concern for others. Ichigo Kurasaki's popularity ranking on CharacTour is #372 out of 5,000+ characters. See our top-ranked characters and read their profiles. Bleach is an action anime series. 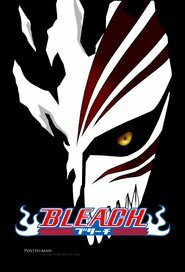 The show revolves around Ichigo Kurosaki, a good-hearted 15-year-old high school student who carries the undesired ability to see spirits. Others in his family (two sisters and his father) carry this ability to some extent as well. One evening, he encounters Rukia Kuchiki; a Shinigami, or Death God. It is her job to usher lost spirits to Soul Society, and to also eliminate those which cross over from the Hollow World.